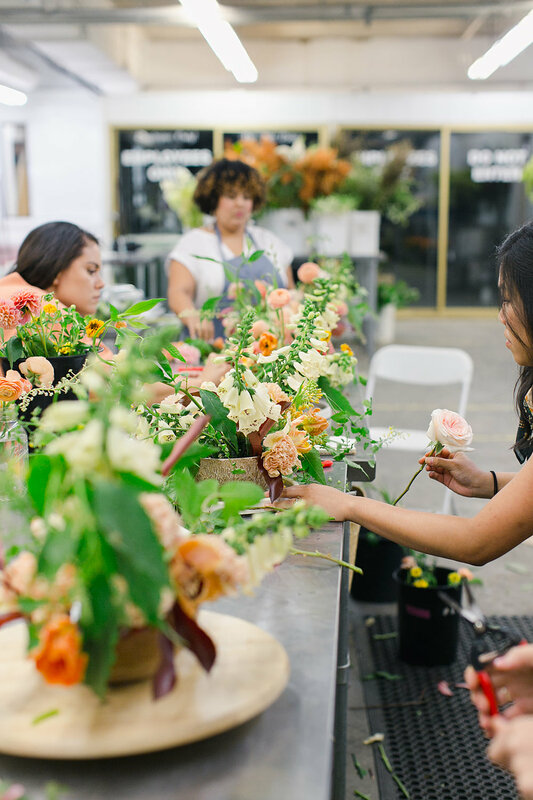 On August 8th, Amy Nicole Floral and Megan Gray put on a “Summer Inspired” floral workshop in the flower market's creative space. 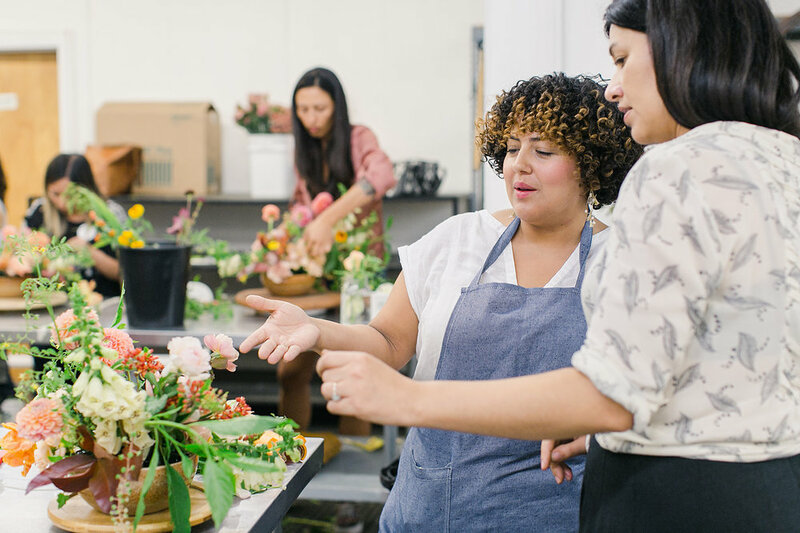 Students enjoyed a full day of floral education, including a lively discussion and hands on design sessions covering Megan and Amy’s approaches to both centerpiece and installation design. 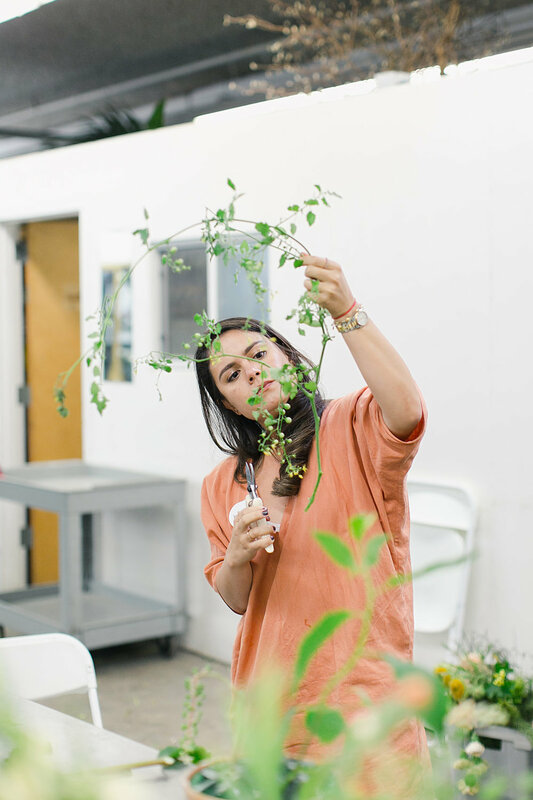 Students had the opportunity to build their own centerpiece following Amy's detailed approach to designing nature-inspired centerpieces with cohesive color palettes and effortless, organic movement. 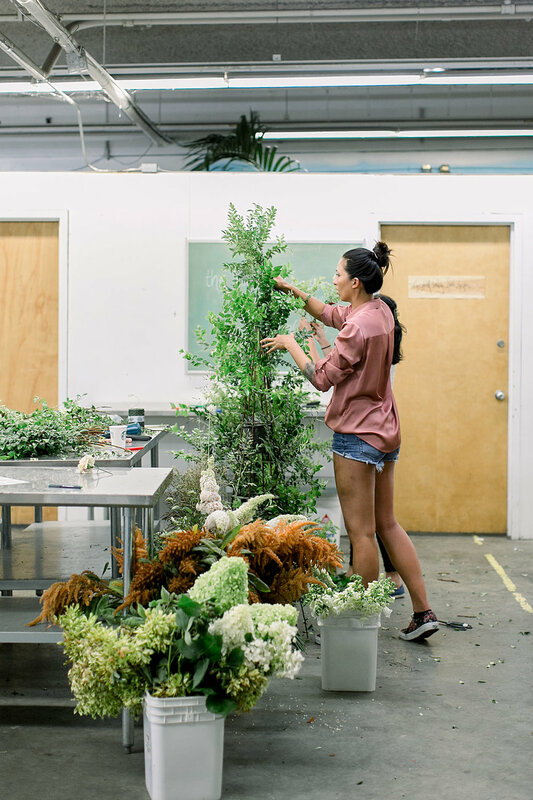 They also collaborated in small teams to build various ceremony installations as Megan skillfully guided students through her approach to large scale floral installations. Amy and Megan have a combined 35+ years of experience in floristry, having been dedicated to the craft for all of their adult lives. They are passionate about flowers and eager to pass on their knowledge of both old school mechanics and modern design. 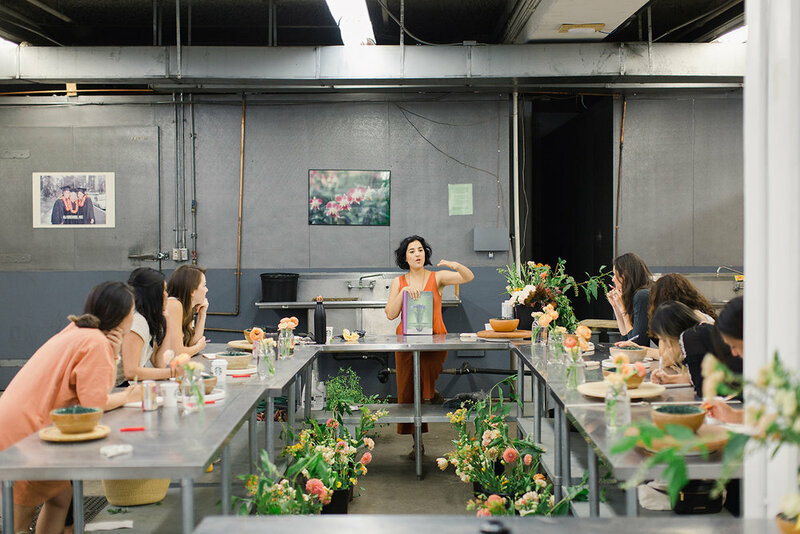 Are you a florist, event designer, or floral instructor and want to rent out our creative space? Inquire here. The Southern California Flower Market is a magical place this time of year. 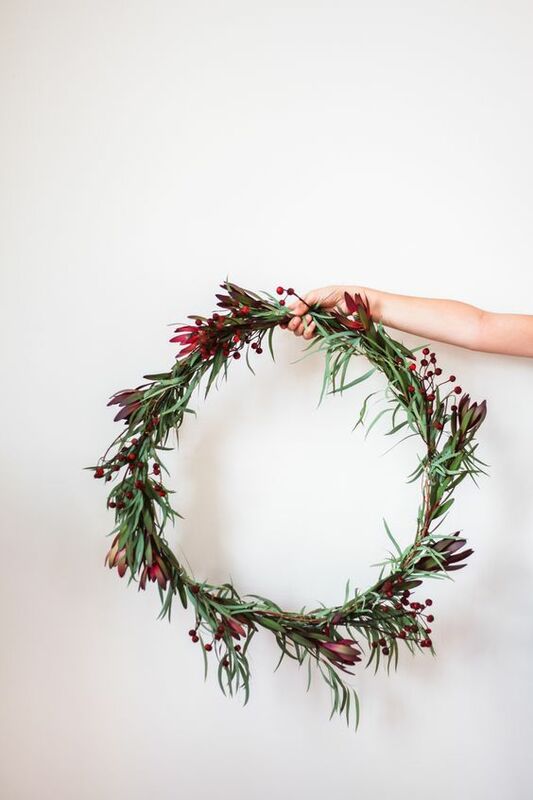 We have all sorts of wreaths, greenery, and florals for all your needs. 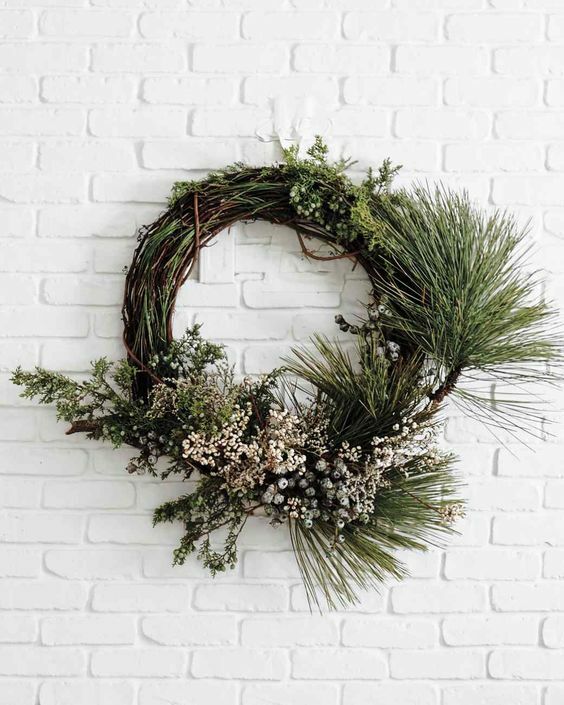 We've compiled some great DIY projects you can work on yourself or with family and friends to spice up your festivities while ringing in the new year. 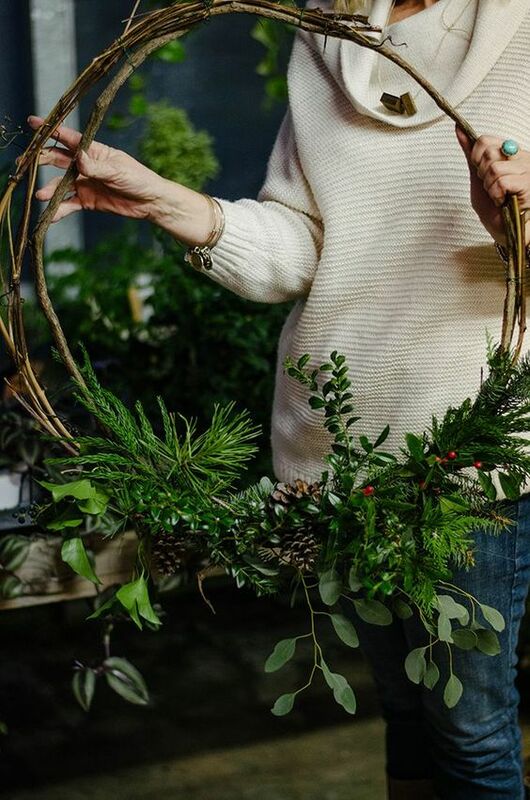 Step 1a: Cut a piece of vine-wrapped wire at least 1.5 times longer than you need, depending on how small or big you want the wreath to be. 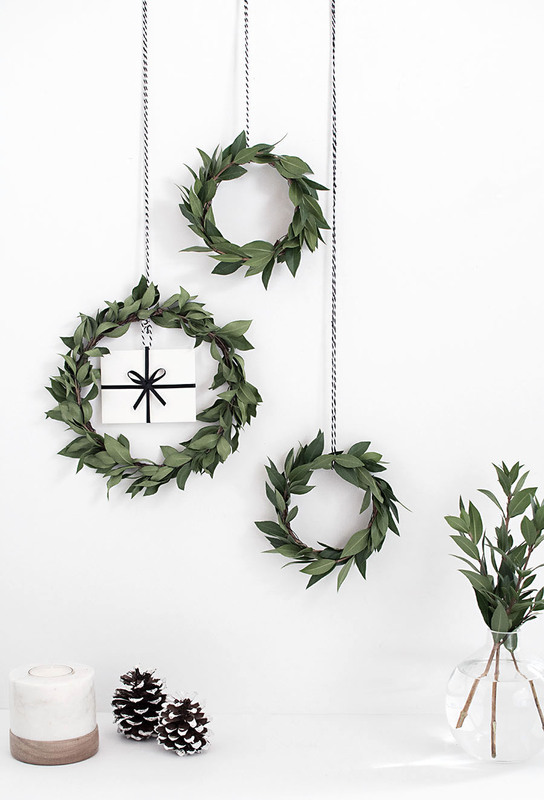 Step 1b: Starting with the end of the stem, anchor the greenery onto the wreath with floral wire. Step 2: Slide a piece of baker’s twine through the top loop of the ribbon. This would be a good time to mention that sticking a piece of Washi tape on the back where the ribbon intersects is recommended to keep it stable for hanging (next steps). Step 3: These are easy and simple enough to put up anywhere and everywhere. Even more reason why gifting them would be sweet. We also have some ready made holiday offerings at wholesale prices. Preview coming later this week. Visit us 6 days a week!